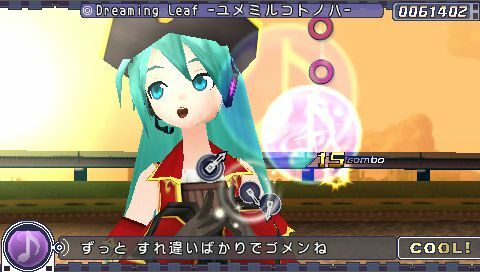 I’m not an avid fan of the Vocaloid meme but I must admit that Project Diva has had my undivided attention for quite some time now (approximately two months and counting). The object of the game is simply, press the buttons on the screen before the required time expires….. That might sound complicated so here’s some screens. Once you see them they’re pretty explanatory. 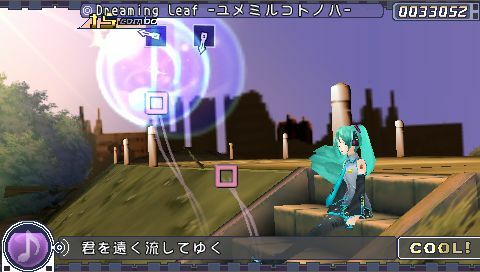 You have a cute vocaloid character dancing infront of you while you’re trying to hit the right rhythm. It’s either very annoying or very distracting. Of course if you play games with great concentration, the items above won’t bother you. If you’re into moe (which is probably the reason you’re also playing the game) then be forewarned 😀 The game is challenging, fun and addicting. 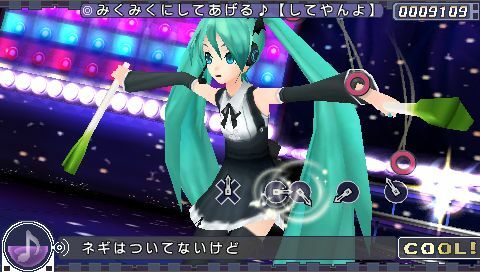 If you need a list of unlockable items, costumes, songs and characters just head to the Project Dvia Wiki.